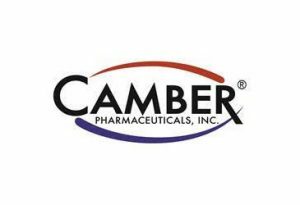 PISCATAWAY, N.J. – Camber Pharmaceuticals announces the addition of tolterodine tartrate ER capsules to its growing portfolio of products. Tolterodine tartrate ER capsules are the generic version of Detrol LA from Pharmacia & Upjohn Co. and is used to treat overactive bladder. Tolterodine tartrate ER capsules are available in a 2mg and 4mg – 30ct bottle.